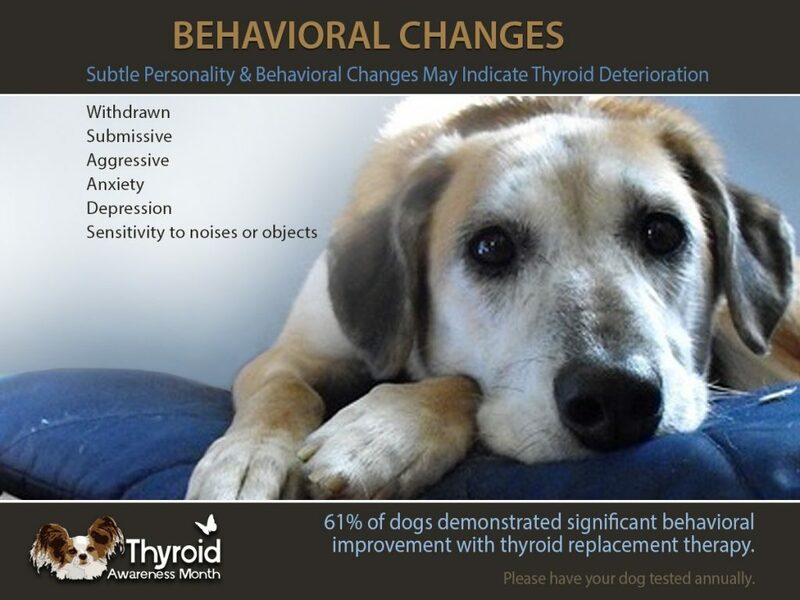 What is the Number One Endocrine Disease in Dogs? 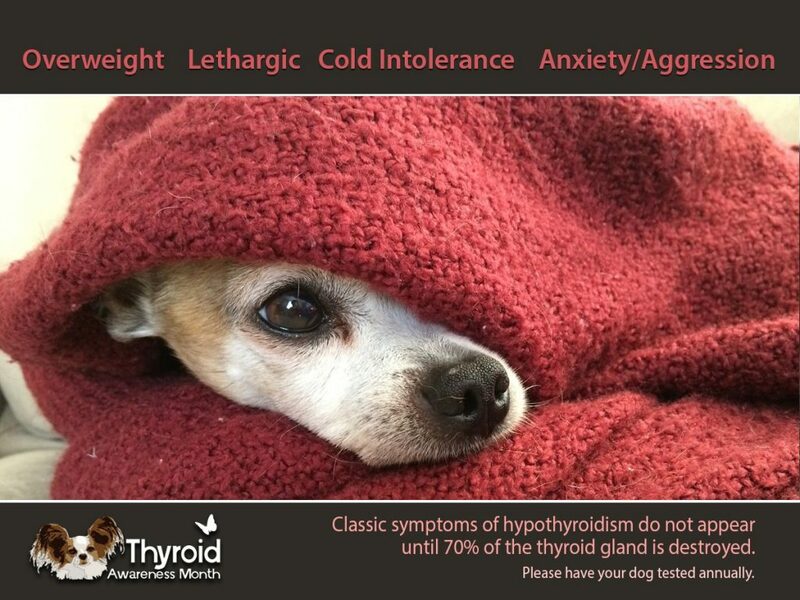 Hypothyroidism is the number one endocrine disease in dogs! And yet, you may not even know what to look for as symptoms of this condition. 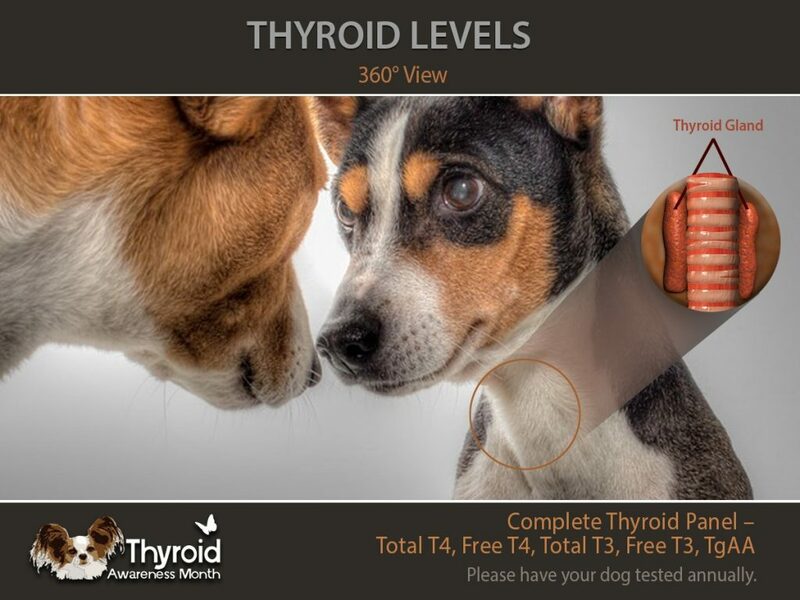 According to Dr. Jean Dodds, a veterinarian for the last 50 years and award-winning author of The Canine Thyroid Epidemic, your vet may not be testing or interpreting the tests in a way that gives clear or accurate results. First off, I would like to say that the thyroid gland plays a very important and complicated role in regulating the body’s metabolism and health. Following a stimulus that activates the pituitary -thyroid gland axis in the brain, the thyroid then controls everything else from cognition to behavior, protein synthesis and much more! 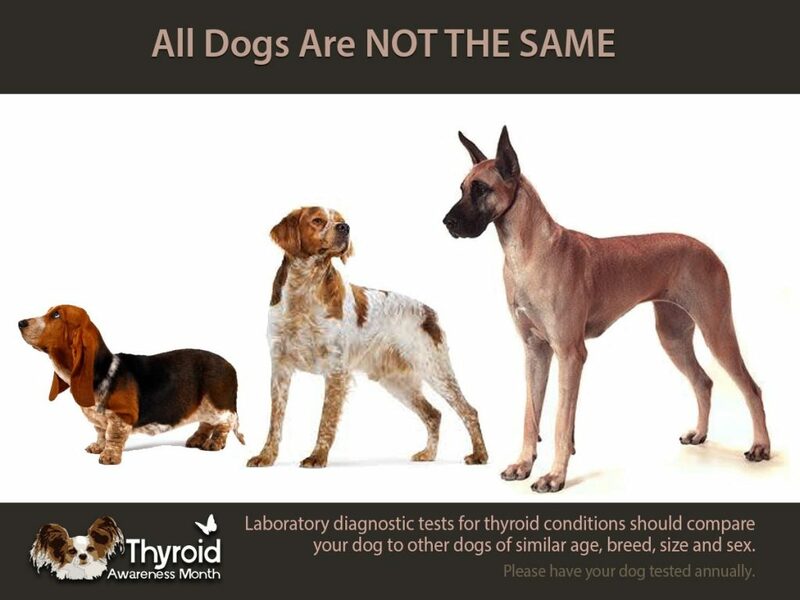 In researching and testing the thyroid health of an increasingly large number of dogs, Dr. Dodds has accumulated an extensive age- and breed- specific data base to set ranges for their expected normal thyroid function. This is a huge breakthrough, which is now used for more definitive diagnostic purposes. Think about it, do a Chihuahua and St. Bernard have the same degree of metabolic function? Of course not! Before these Hemopet Case Specific ranges were discovered and established, the treatment for thyroid issues were the same across the board no matter the age or size of your pet. 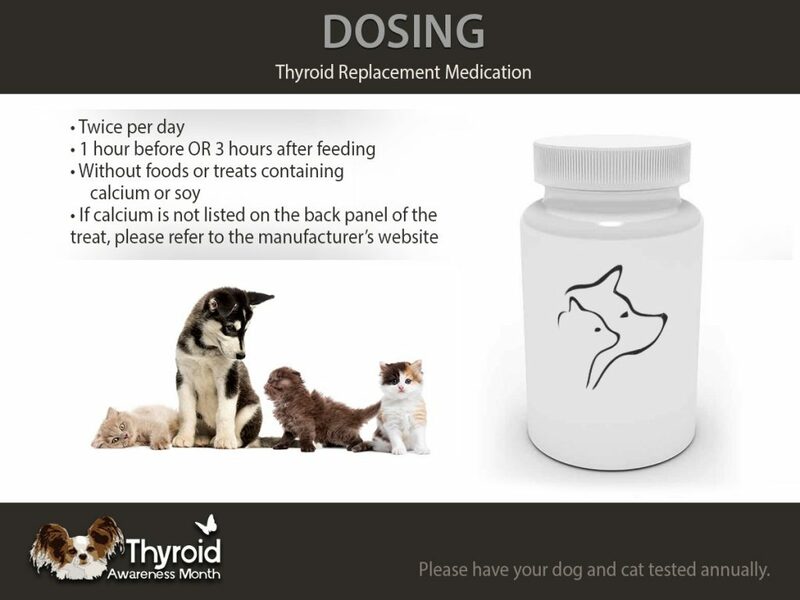 Thyroid medication is prescribed by a veterinarian. The bottle often may say to give just one rather than the preferred two half doses per day, and may even mention giving the medication with the pet’s food. Give the medication in two doses. Divide the prescribed total daily dose in half and give half in the morning and half in the evening to keep a consistent steady state amount in the body of the dog over 24 hours. This is because the half-life of thyroxine in dogs is only 12-16 hours. Thyroid medication should not be given with food or treats, especially those containing calcium or soy. These bind the medication and make it poorly available to the dog. Give this medication an hour before the meal or 3 hours after a meal. How to recognize a thyroid issue? Use a soft nylon collar. This will help avoid injury to the thyroid and salivary glands in the neck , that can occur with use of metal or prong collars. Complete thyroid antibody profile, not just a T-4 or free T-4 and TSH. 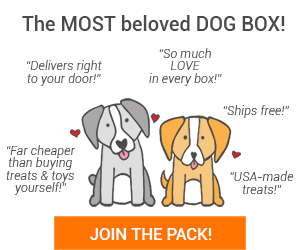 If you would like, you can then send your results to Dr. Dodds who will interpret the results for you according to the age and breed ranges she has established for your dog through her research.